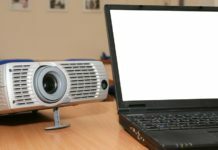 Whatever brand, style, or price-point of projector that you have, all of them have one basic thing in common: they all use a lamp to create the image you see on the screen. These lamps wear out over time, just like the lightbulbs in your home, and will periodically need to be replaced. 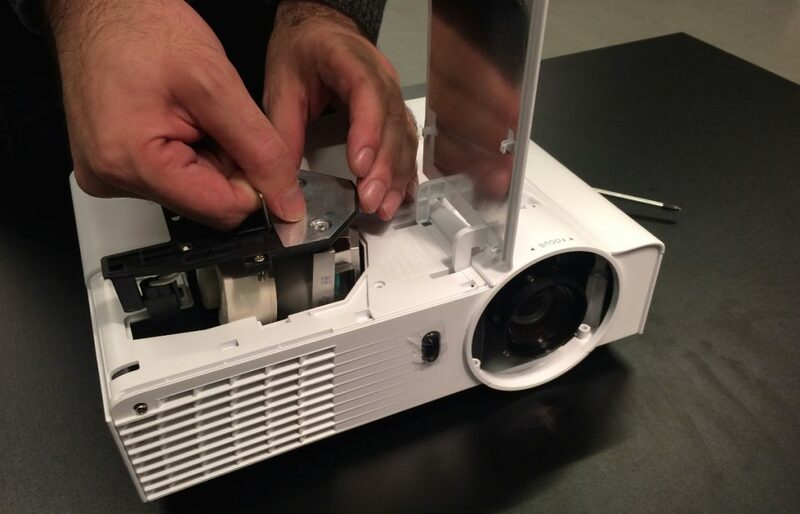 If your projector doesn’t have a lamp status feature—or if its results are inconclusive—you can often tell the projector lamp is bad by analyzing the issue. If you use the projector regularly you’ll probably notice a decline in the contrast or brightness of the image leading up to the lamp failure. Turn the projector on and observe the image. If it’s flickering or wavering, this is a sign the lamp is dying. If the projector powers on successfully but no image displays, this usually means that the lamp has completely stopped functioning. One simple way to test if the lamp is the problem is to swap it out for a different lamp and see if that fixes it. Projector lamps both cost more and last longer than light bulbs. (>>>You can find a lamp for your projector here) If you want to make sure the projector lamp is bad before you buy a new one, take the projector to an electronics store that sells the kind you need and ask if you can test it in-store. As an added bonus, if the new lamp doesn’t fix your problem, the sales reps at the store may be able to diagnose the real issue. Projector lamps have a pretty long life-span. You can typically expect around 2,000 hours of use out of a given lamp, although some newer models boast life-spans of twice that or more, though not every lamp is going to live up to that promise. 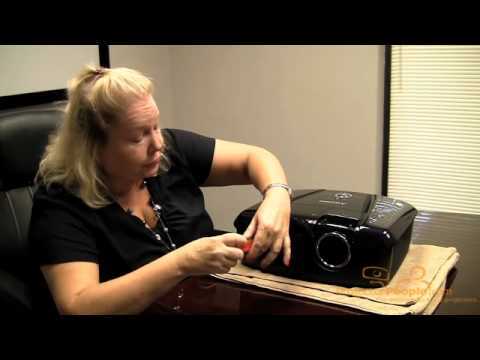 (>>> Learn everything about projector bulbs lasting) If you’ve had your projector for a few years and use it regularly, the signs above are a likely indication of impending lamp failure, and you should buy a replacement. You might be shocked by how bright and clear the image is if you’ve gotten used to the one projected by a failing lamp.